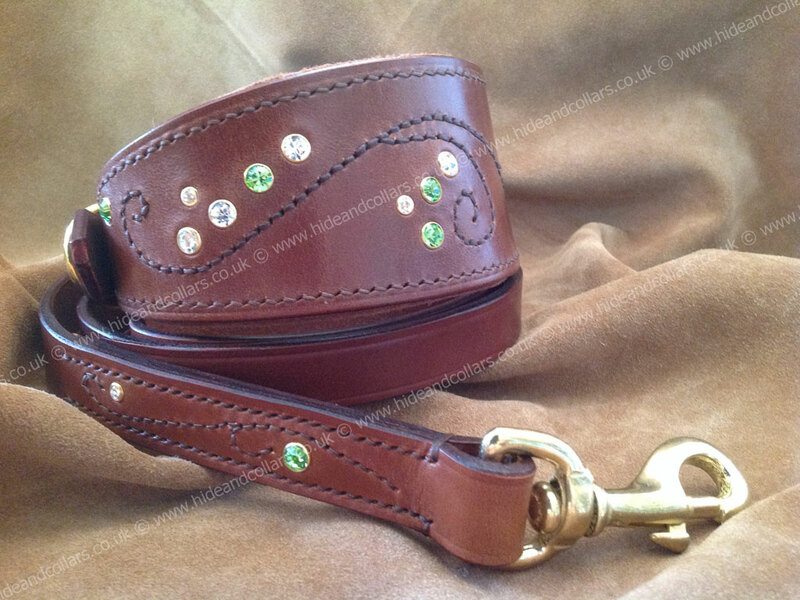 Stunning hound collar in the colour conker, stitched and studded with Swarovski crystals in peridot and clear. Matching decorated lead. 19mm width 122cm long.